It helps that the French cognac maker has a big family shareholder. But a cheery 18 pct rise in net profit pushed Remy’s value to a premium that matches its top-end brands. Diageo is no slouch. But bid talk would die down if the UK company’s outlook was sweeter and smoother. 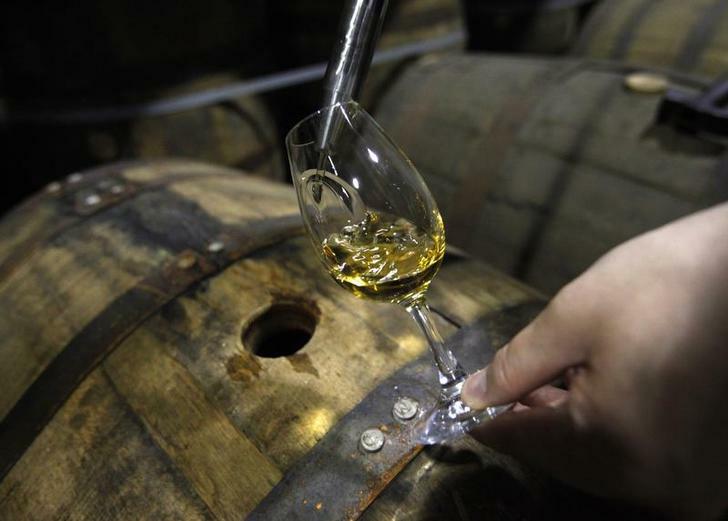 A worker pours a glass of whisky. Remy Cointreau, the French spirits producer, increased net profit excluding one-off items from 80.2 million euros to 94.6 million euros. On an organic basis adjusted for exchange rate movements, the company said that the 18 percent increase for the year to March 31 would have been by 32 percent. Remy shares rose as much as 8.6 percent in early trade on June 17. At 1030 the shares were up 4.1 percent at 66.74 euros.